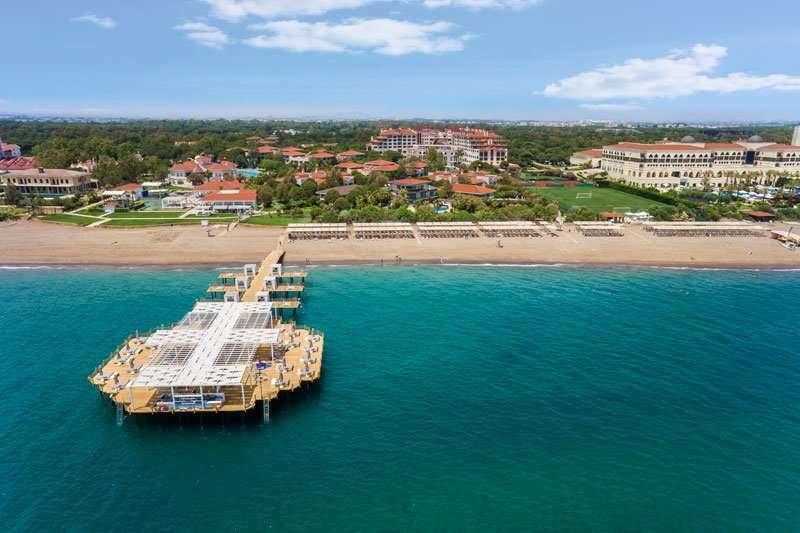 The Sirene Belek Hotel is one of the most popular hotels in Belek, offering true five-star accommodation. 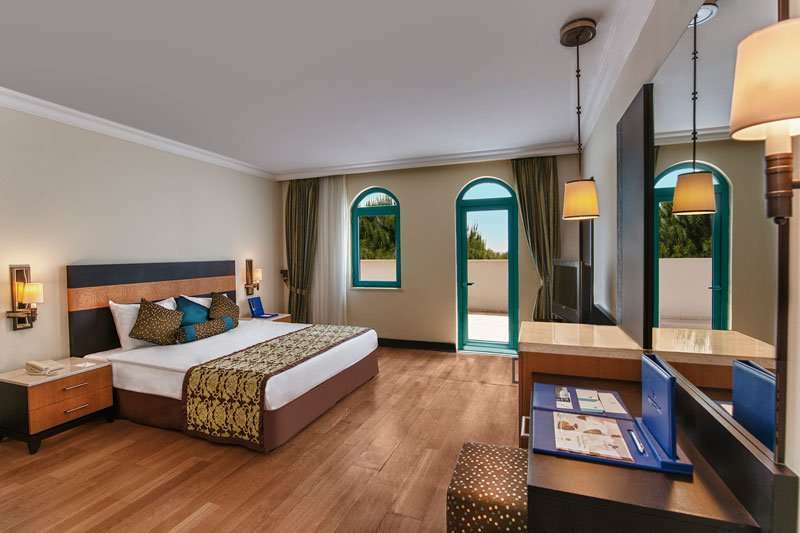 Perfect for golfers, the Sirene is nestled in between the Pasha and the Sultan golf courses. With a range of leisure facilities, a stunning coastal location and all-inclusive holiday packages, it comes as no surprise that the Sirene Belek Hotel is a consistent favourite amongst golfers in Belek. 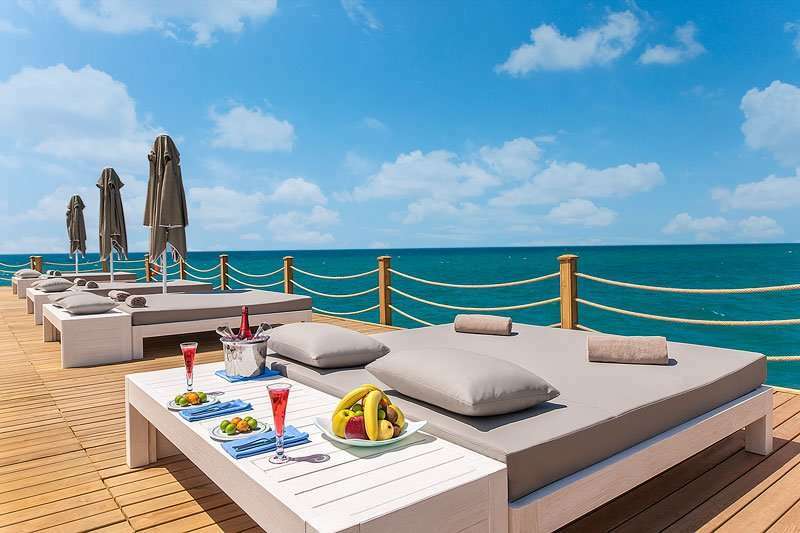 Like many of the other hotels in Belek, the Sirene Belek Hotel backs onto the sixteen-kilometre-long Blue Flag Belek beach. The hotel even has its own beach pier with sun loungers, parasols and a bar. 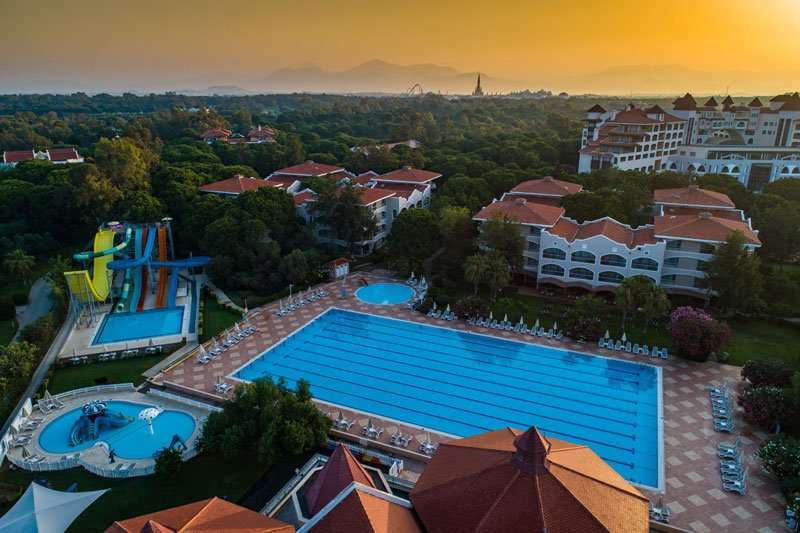 The Sirene Belek Hotel is located just a forty-minute drive away from Antalya International Airport, meaning this fantastic hotel is highly accessible for all tourists in the area. If guests are looking to explore a spot of Turkish culture, they can head to Side which is just fifty minutes away by car. Here, they can meander around the Temple of Apollo and visit the Roman baths. The Sirene Belek Hotel is the perfect option for golfers in Belek, nestled in between two fantastic golf courses, the Pasha and the Sultan. Both of these golf courses offer an invigorating round of golf across undulating landscapes, making them an essential component for an unforgettable golf holiday in Turkey. The Sirene Belek Hotel offers a fantastic range of accommodation options, including a selection of bungalows set back from the main building. The hotel also offers a family room that sleeps up to four guests. 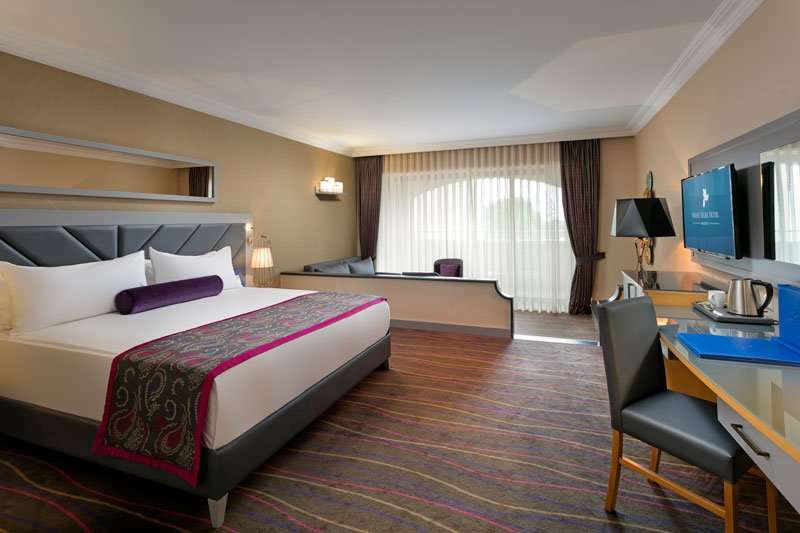 All of the guest rooms here are spacious with a modern design to offer guests a comfortable stay. They come with a private balcony or terrace so that the hotel’s stunning setting can be admired. All of the guest rooms are air conditioned and include a flat-screen television. 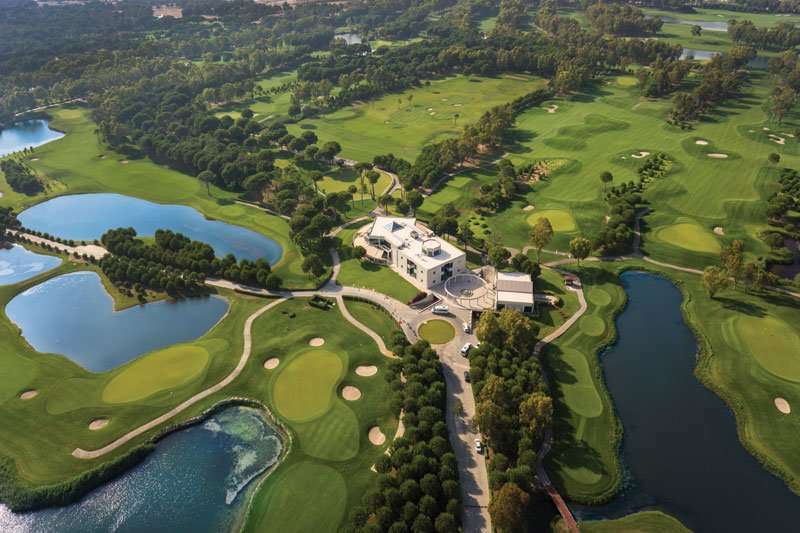 Whether guests play golf or not, they will never find themselves short of things to do at the Sirene Belek Hotel. It offers guests a fantastic range of leisure facilities including an outdoor Olympic-sized swimming pool, an indoor pool and an aqua park. Guests can play a range of sports including tennis and, on the beach, there are water sports, volleyball and water polo. 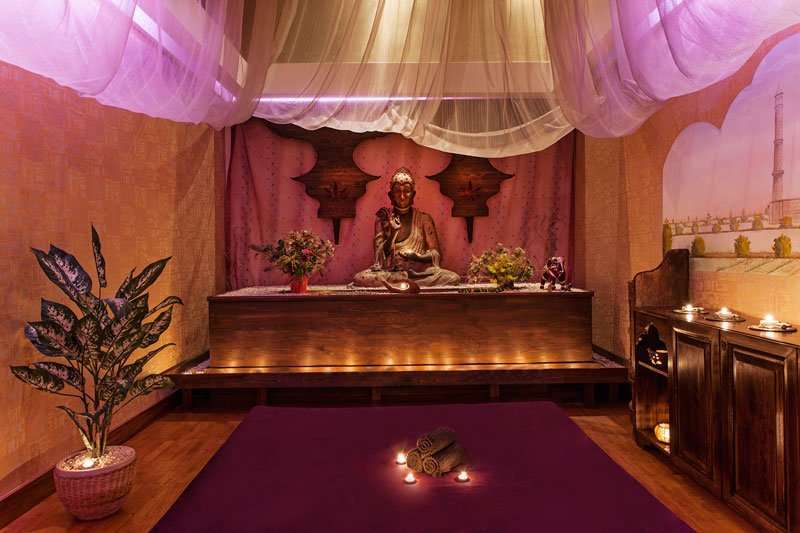 To completely relax, guests can head to the Sanitas Spa where they can indulge in a range of body or facial treatments or take a dip in the Turkish bath. 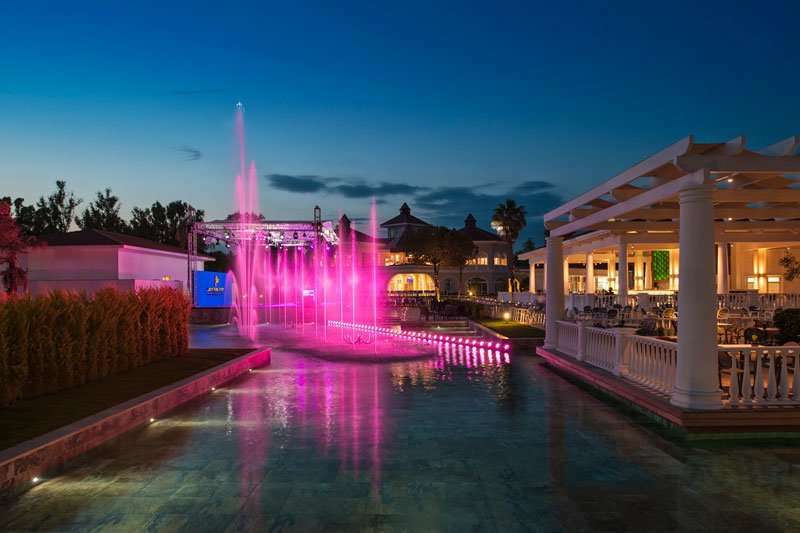 The Sirene Belek Hotel has an impressive five restaurants including an adults-only seafood restaurant, a large buffet restaurant and an à la carte Italian restaurant. For evening entertainment, guests can head to the Hoope bar to enjoy a range of alcoholic drinks.